We recently saw the Duchess of Cornwall with her hubby in a royal visit to Cuba, and we couldn't help but notice something particular and intriguing in her hand: her engagement ring. Although all regal jewelry is hard to ignore due to its beauty and worth, that big rock on Camilla's finger is very flashy indeed. In fact, her bling has a compelling story behind it, pretty much like most British royal jewel for fiancées. Haven't you heard about them yet? Keep calm and continue reading so that you get to know all the fascinating facts! 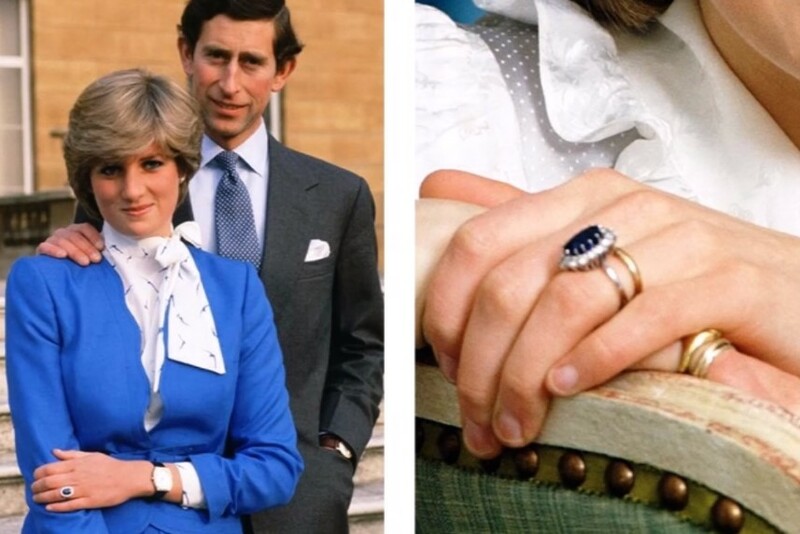 Today, we'll recap the most paramount and top-of-the-range engagement rings of all time in the British blue-blood family, so let's get the ball rolling! Back in 2010, Clarence House announced that Prince William was engaged to Katherine Middleton. And the symbol of Will's love was a gorgeous engagement ring with poignant meaning. 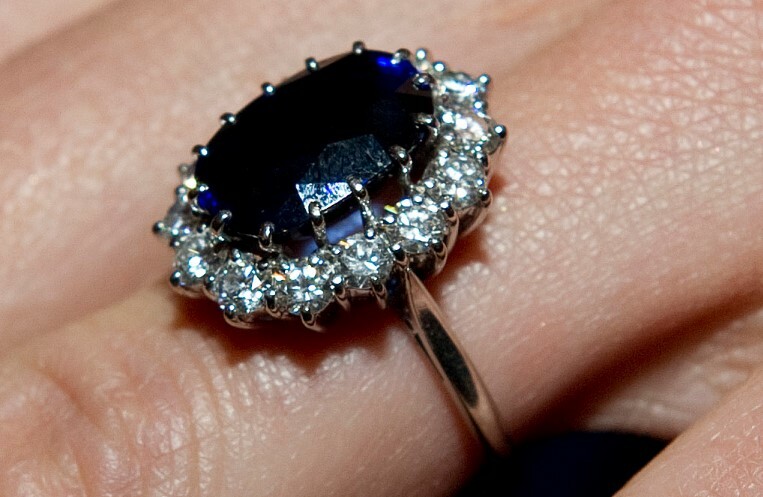 The piece was a large 12-carat oval blue Ceylon sapphire ringed with 14 solitaire diamonds, all set in 18K white gold, according to Good Housekeeping. But it turns out that the piece was not a mere ring for the second in line to the throne as it has a deep personal meaning for him. Why? Because it previously belonged to his mother, Princess Diana of Wales who, we all know, passed away in a terrible car crash in Paris. However, it was following Lady Di's divorce from Charles that the jewel returned to Kensington Palace to be stored. As per The Diamond Store Magazine, Charles allowed William and Harry to pick mementos from Diana's possession after her demise. Harry got the engagement ring, while the eldest bro went for a gold Cartier watch. 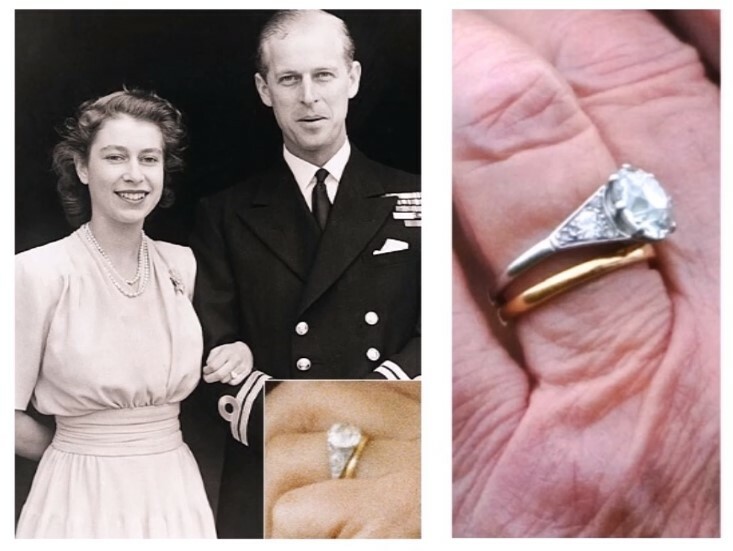 However, when it was time for William to propose to Kate, the brothers exchanged their relics so that Will could give the engagement ring to his future wife. The same source added that the gemstone cost £28,000 back in 1981 when Prince Charles bought it for Diana. However, due to inflation, now it is worth around £300,000. The former Crown Jeweller, Garrard & Co. is the mastermind behind the creation of this beautiful engagement ring. To seal a perfect love story, Prince Harry designed the ideal engagement ring to propose to the American actress Meghan actress, and he made sure the jewel was unique enough. 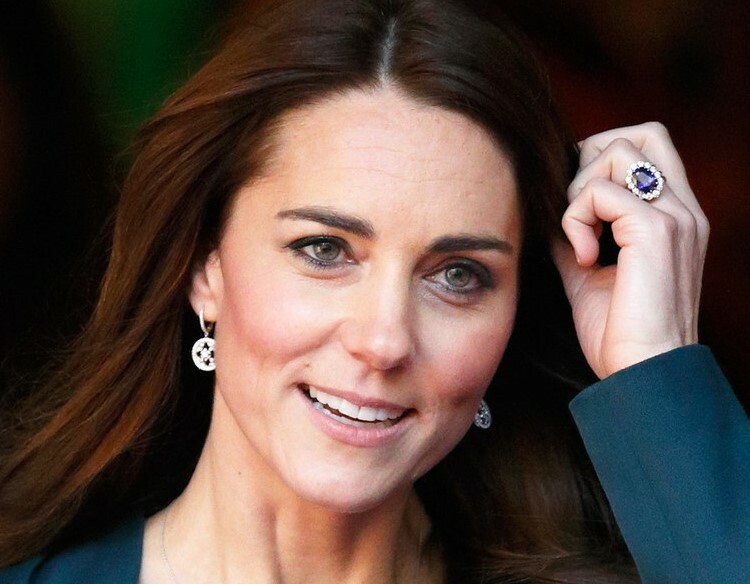 Sophie Lomax, the head of design at 77 Diamonds told Business Insider that the Duchess' piece was of inestimable value. And she couldn't be more right! The source reported that the Prince went for a trilogy ring, featuring a 2.5-carat cushion cut diamond from Botswana, where the couple holidayed for the first time during the summer. It also has two stones from the late Princess Diana's collection. All this is set in white gold with the main band in yellow Welsh gold. 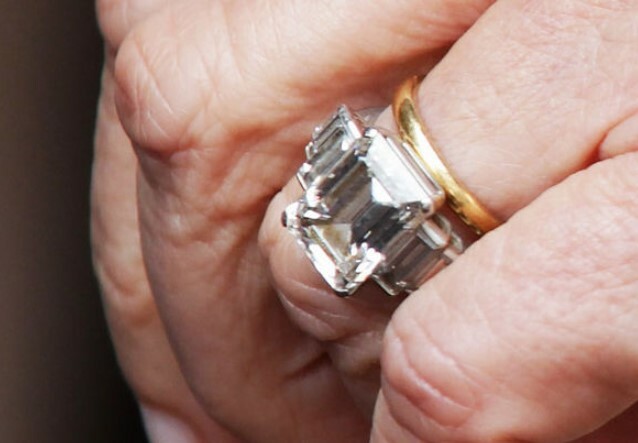 Court jewelers Cleave and Company created the engagement ring, and Express reported it cost some modest £122,500. It was certainly a perfect fit for Meghan as the new Duchess of Sussex. At the time when Elizabeth II tied the knot with Philip of Greece, he was not the common well-off royal, as per Good Housekeeping's report. In fact, his financial situation was not the best when he decided to propose to his then-girlfriend, who was no one else than the heir to the British throne. Therefore, his mother, Princess Alice of Battenberg, stepped in to help her son. She gifted Philip with some diamonds taken from a tiara she was given on her wedding day. 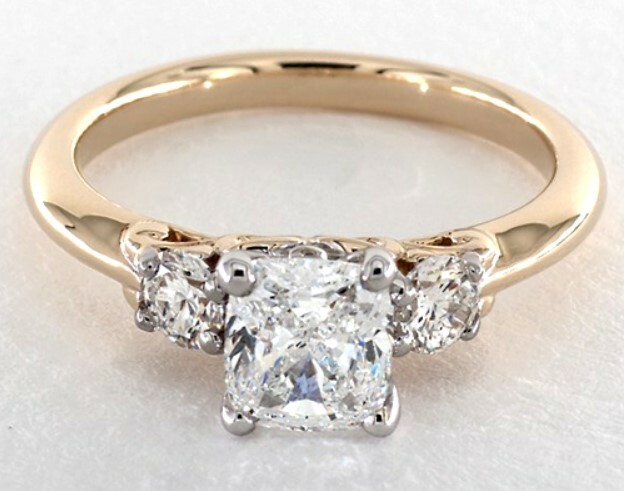 Jewelers Philip Antrobus Ltd. worked with the Greek royal to create the engagement ring for his beloved Elizabeth. The sparkler features a 3K round-cut diamond in the center with ten smaller ones set in platinum. However, as Express stated something quite interesting, "That’s a very nice size for an engagement ring, but for a princess, that’s relatively modest." Despite that, after 70 years, the price tag of the gemstone is around $257,000, by Good Housekeeping's report. However, it seems that the touching story behind the family heirloom gives it a value that cannot be measured in terms of money. 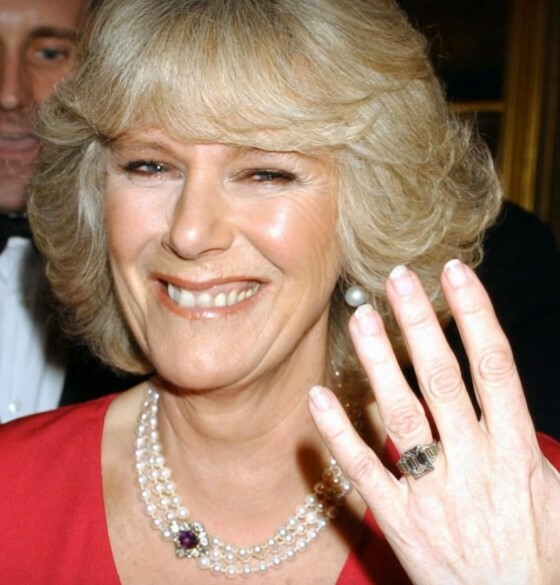 The Duchess of Cornwall's engagement ring can be summed up in only one word: regal. And it has some historical background to back it up. But first, let's consider the details of the magnificent piece. According to Vogue, the gem is among the largest ones in the royal family and thus one of the most costly ones as well. It features an art deco design and a large five-carat square-cut diamond right in the center with three diamond baguettes on each side. All these gemstones are paired with a Welsh gold wedding band that is pretty demure compared to the rest of the rings' traits. Such beautiful jewel must be worth some grand, right? 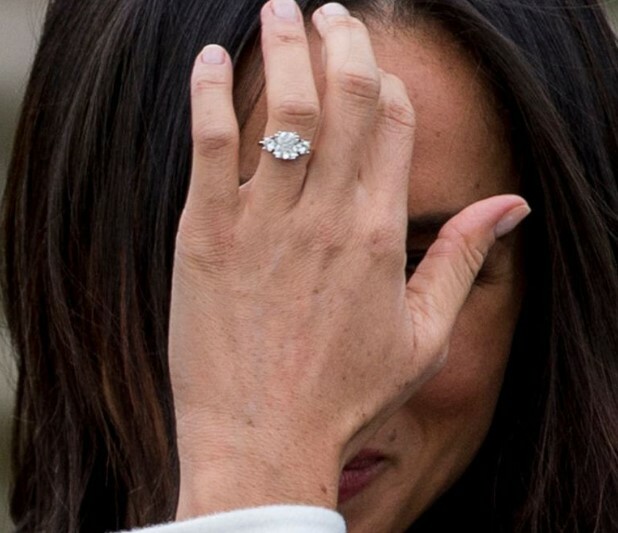 Well, it turns out the ring is estimated around a cool $288,000, according to what gemologist Deborah Papas from Prestige Pawnbrokers told Metro. On the contrary, Grant Mobley, Director and gemologist from Pluczenik, said to Express he believes it is worth approximately $225,000. Anyway, it is one of the most expensive rings from the royal collection, and that is without considering the invaluable price its history adds. It turns out the piece belonged to the Queen Mother, who was photographed during the mid-80s exhibiting the sparkler at an evening event. 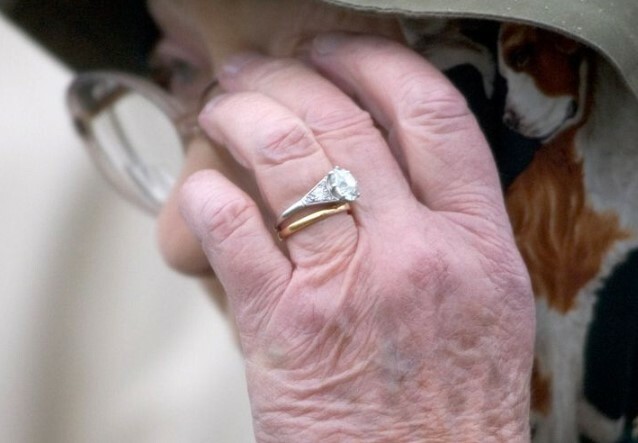 But surprisingly, the jewel was not her engagement ring from King George VI. However, the origin of the piece is still kept under wraps. What we do know is that heirloom now belongs to the Duchess of Cornwall after Prince Charles proposed to her back in 2005. Despite the 13 years, the rock has lost neither its natural sparkle nor its charm. 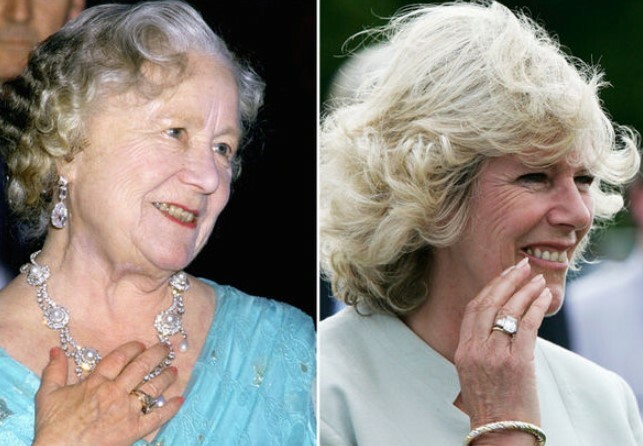 The antique is only one of many more pieces Camilla wears. According to Express' findings, Camilla's also been spotted donning the Greville Tiara, another regal adornment that has no shortage of bling on it whatsoever. Or let us not forget the sumptuous Collet Necklace with nothing less than 41 diamonds that the Queen Mother previously wore during her husband's coronation. Now, Charles' wife shows it off in a more modern and wearable style with only 31 gems. This is certainly one benefit of being married to the future king of England (there are many more indeed). Wow! Little did we know that each of the royal engagement rings in the British royal family had such an intriguing history! What is your favorite piece? Share your thoughts with us in the comment section down below, and keep on reading our articles to learn more engaging info about over fave blue-blood members. Now that many years have passed, the details about Charles and Camilla's relationship have faded into a distant memory after all these years have gone by, and with it, many have probably forgotten some of the incredibly weird things about their marriage. So, without further do, it's time to jog your memory.